Mother Jayne Legette, departed this life Friday January 11, 2019 at her home in Marion County. She was the mother of Clemson Legette, Jacquelyn Russell and Addie L. Legette. You may visit the family at 752 Havenwood Rd. Marion. Funeral services are scheduled to be held at the Harvest Time Evangelistic Center, Mullins. She will be laid to rest in the Jackson & Daughters Cemetery, Marion. Janye W. Legette, age 81, died on Friday, January 11, 2019 at home following a long-term illness. She was born on November 13, 1937 in Marion, SC to Colonel and Addie Wilson and was the seventh of thirteen children. Janey W. Legette was married to Pastor Clemson Legette of Marion, SC who preceded her in death. She was also preceded in death by her parents, and ten brothers and sisters: Mrs. Travis Gant, Mr. Marion Wilson, Mrs. Mary Lester, Mrs. Josephine Miller, Mrs. Charlotte Williams, Mr. James Wilson, Mr. Elijah Wilson, Mr. Augusta Wilson, Mrs. Mildred Abram and Mr. Frank Wilson. Janye W. Legette was a woman of impeccable character and because of her gentle, loving, nurturing spirit, she was affectionately called“Mother” by many. She was educated in theMarion School System and earned an Associate Degree in Theology at the Harvest Time Bible College at the age of 74. Mother Legette and her husband left South Carolina in the mid nineteen fifties and settled in New Jersey where they raised their family. Mrs. Legette worked at various factories until she found her true vocation as a real-estate agent. When she and her husband returned to their home state of SC in 1984, they ran a successful little restaurant,Clem’s Grocery and Grill, for a time. She then became a valued employee of the Marion County Council on Aging until her retirement. In addition to all the above, she was a licensed and ordained Pastor and worked alongside her husband at the Tabernacle of Faith Church which became Harvest Time Tabernacle after the passing of Pastor Clemson Legette in 2010. Bishop Chris and Pastor Eartha Edwards assumed the leadership roles at the church from that time. Mother Legette was loved and respected by her large church family and she loved them too. 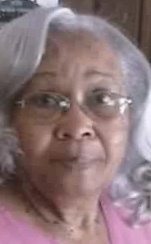 She is survived by her three children, daughter, Addie L. Legette, of the home, son, Clemson Legette II, of Marion, SC, and daughter Jacquelyn (Raymond) Russell of Concord, NC. She is also survived by two sisters, Mrs. Doris Williamson, of Marion, SC, and Mrs. Betty Williamson of Marion, SC as well as a host of nieces, nephews and cousins.